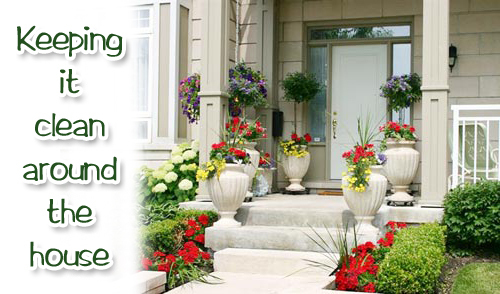 Give the planters that surround your house a makeover. It's a common mistake to find the perfect planter for the front or back of your home, fill it with dream plant materials and then leave it alone. Eventually the plant materials crowd each other, making the whole display look disorganized and untidy. You should be looking at your garden pots at least seasonally and making changes. Here are a few tips to consider. Start by planning carefully in advance. It is easy to buy a bunch of mis-matched pieces of pottery, filling them with random plants and having a hodge podge look that is unsightly and unmotivating. Or how about planting the pots, and then leaving them alone to grow and become over bearing, making the pot look under sized and the plant materials old and in need of replacing. Walk around your neighborhood and check out others displays. Stand in front of your home or on your back porch and take a look at the area and see it before you place pots in the way. Don't block windows. This makes the view from the inside unsightly. Choose a variety of plants. A selection of different plants is more interesting. Plant low maintenance varieties if you don't have the time or desire to keep them looking fresh and lovely. Prune and trim the plant annually. Don't let them drape over and climb along the patio or porch. Keep them contained! This looks messy and unattractive. Try planting with dwarf trees and bushes or a look that will stay green all year long. Planning in advance, keeping it simple if you don't have time and keeping your eye on the container seasonally are all easy and simple things to do. 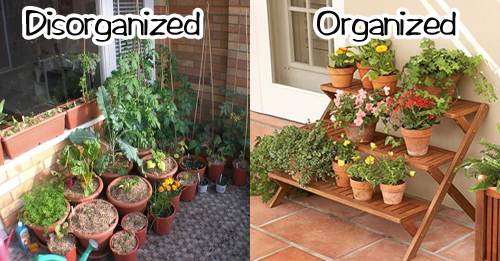 Read more.....A few new tips for container gardening! Read more.....More cold weather container ideas.